This is the first hack that I ever did. It turned out pretty well, all things considered. 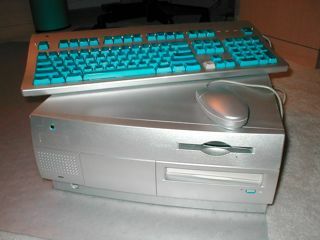 It's a Power Mac 7500/132. 64/2GB/CD.